Hundreds of pro-Brexit protesters have gathered in Westminster as MPs prepare to vote on the Prime Minister's 'Plan B' Brexit deal. Activists from pro-Brexit groups including Leave Means Leave and the so-called 'Yellow Vests' convened outside Parliament, calling on politicians to deliver Brexit. This afternoon speaker of the House of Commons, John Bercow, selected seven amendments for politicians to vote on tonight. One of the amendments MPs will vote on include the controversial 'Amendment B' tabled by Yvette Cooper, which could result in Article 50 being extended, as well as preventing a no-deal scenario if a deal is not secured by February 26. However, retired newspaper journalist Sue Benjamins from east London said she wanted to see a no-deal Brexit, and move to WTO terms. "We need to leave, and the World Trade Organisation has a perfectly reasonable, workable set of rules which we use for most of our trade at the moment," she told talkRADIO. "Yes we might be short of tomatoes from Spain for a bit, or lettuce... but we can manage on something else. Cabbage for instance." 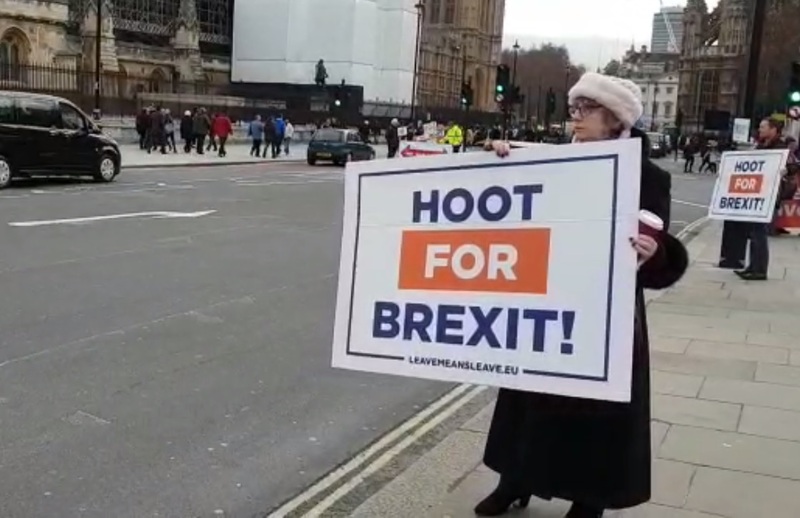 The pro-Brexit campaigner, who stood at the side of the road with a 'Hoot for Brexit!' sign, added: "I shall go totally berserk if common sense does not prevail." Fifty-five-year-old Brexiteer Joseph, from Battersea claimed "remainers" were trying to "overturn the referendum result". "They should respect democracy. Democracy means democracy. Brexit means Brexit," he said. 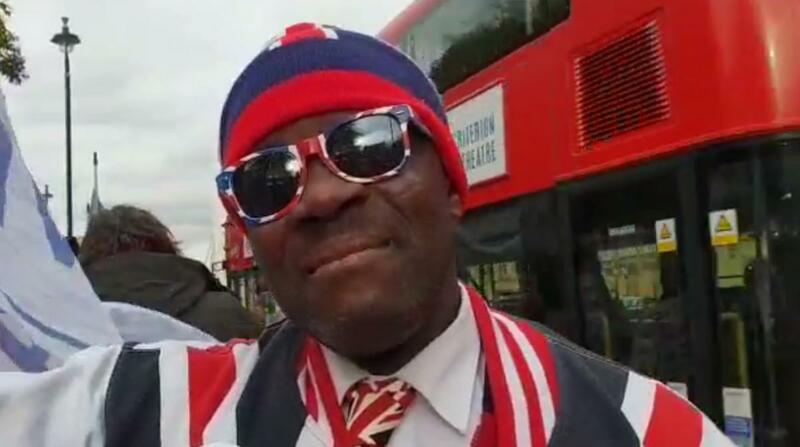 The Londoner, who was born in Ghana, said he wanted a no-deal Brexit so Britain could "negotiate their own trade deals globally". 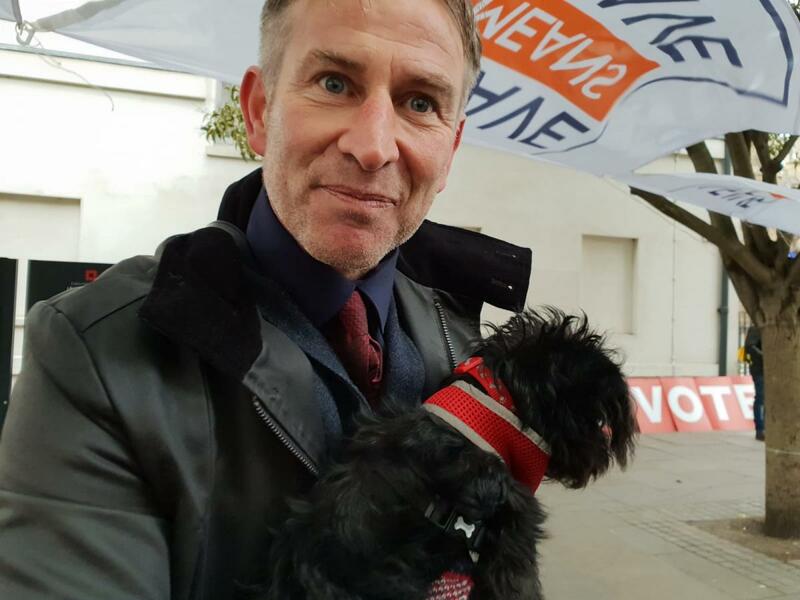 Leave Means Leave campaigner Joe Johnson, 49, urged the Prime Minister to "listen to the people", warning they would be "devastated" if Brexit did not happen. "It has got to be a no-deal. That was the deal. Stay in or out," the Colchester resident told talkRADIO. "The Prime Minister always tells us we've done it for the people, now listen to the people. If you don't listen, they'll be devastated." He added: "I'd like democracy to be put in place like it should be."